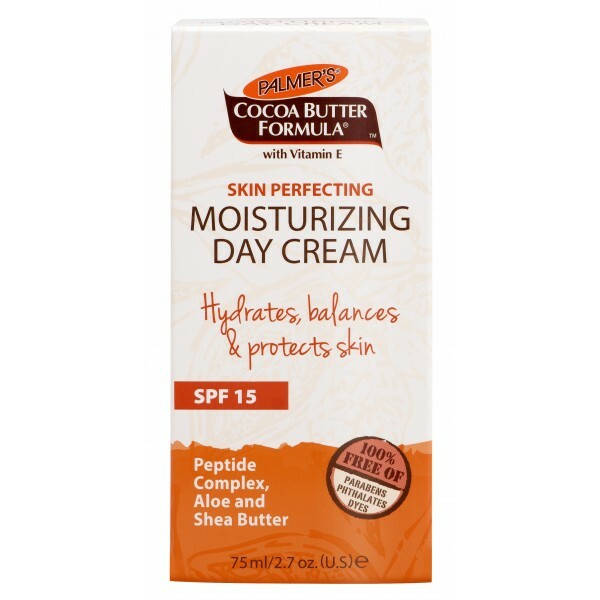 The perfect every day moisturiser with the added benefit of SPF15 means you don't have to double up with sunscreen (love a product that streamlines a routine!). 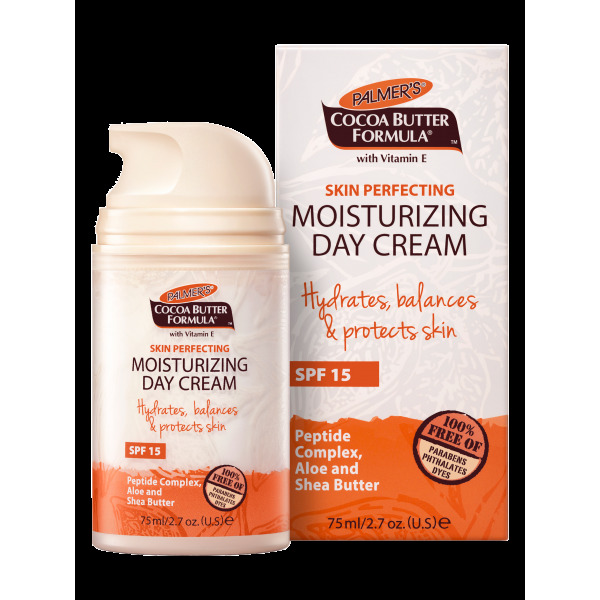 The lightweight formula is suitable for all skin types and won't clog pores. 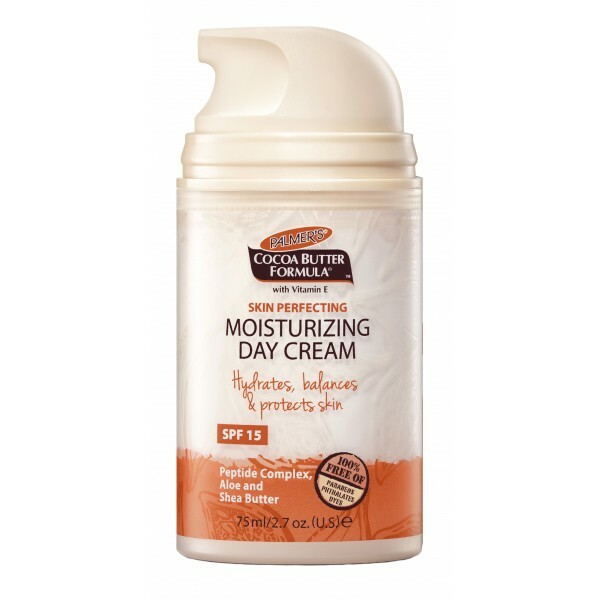 It supports collagen production, calms irritation, is loaded with anti-oxidants and has light, fast absorbing moisture. The easiest choice when it comes to taking care of your skin. Non-Comedogenic – Dermatologist Tested – Safe for Sensitive Skin. No Parabens – No Phthalates – No Dyes. 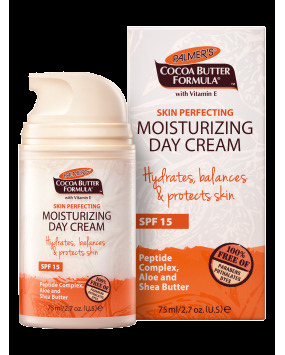 Apply Palmer's Skin Perfecting Moisturizing Day Cream SPF 15 daily to the face and neck area after cleansing, avoiding the eye area. Ideal when used after cleansing with Palmer’s Cocoa Butter Formula Creamy Cleanser & Makeup Remover. Peptide Complex – Peptides are chains of amino acids that are the building blocks of proteins in the skin. Palmer’s Peptide Complex helps stimulate collagen in the skin, leading to plumper, smoother skin and a more youthful looking complexion.